As you by now know, Phil Robertson from the reality series, Duck Dynasty, has been suspended for speaking freely about his beliefs. Read the Fox News article here. Romans 1:18-20, For the wrath of God is revealed from heaven against all ungodliness and unrighteousness of men, who by their unrighteousness suppress the truth. For what can be known about God is plain to them, because God has shown it to them. For his invisible attributes, namely, his eternal power and divine nature, have been clearly perceived, ever since the creation of the world, in the things that have been made. So they are without excuse. They are without excuse. Who are they? They are the ungodly & the unrighteous. And why are they unrighteous/ungodly? Because they have suppressed the truth of God and turned to their own way. Romans 1:26-27, For this reason God gave them up to dishonorable passions. For their women exchanged natural relations for those that are contrary to nature; and the men likewise gave up natural relations with women and were consumed with passion for one another, men committing shameless acts with men and receiving in themselves the due penalty for their error. When we suppress the truth we are turned over to all types of sin. This sin can consume us even to death. Romans 3:23, For all have sinned, and fall short of the glory of God. No one is without excuse. Sin is sin. There is no way around it. Using the term “hate” speech doesn’t fly in this context. We all sin. Romans 5:8, ..but God shows his love for us in that while we were still sinners, Christ died for us. But God… in his infinite love and grace has allowed us, all of us, a way out of sin and unrighteousness. Romans 9:9, ..if you confess with your mouth that Jesus is Lord and believe in your heart that God raised him from the dead, you will be saved. Whether you agree or disagree with Phil Robertson, God’s Word shows that we all sin in our disobedience to the truth. There are those who will categorize Mr. Robertson’s interview as hate speech, but the fact of the matter is that he was speaking his beliefs. 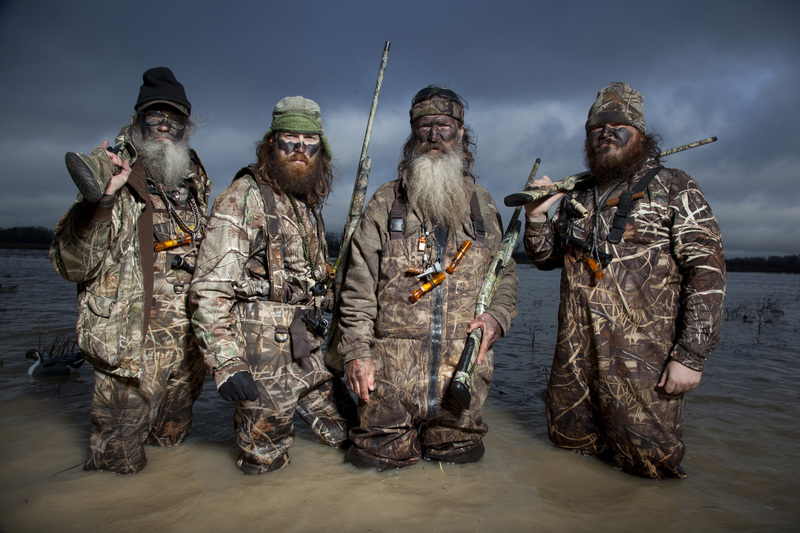 It may be time for Duck Dynasty to walk away from A&E. We are beginning to live in a country where it is becoming more and more “criminal” to speak the truth. Yes, sometimes the truth hurts, and it is in these moments that Christians can be a part of the conversation. Stand up for what you believe in, and be respectful. 1 Peter 3:15-16, ..but in your hearts honor Christ the Lord as holy, always being prepared to make a defense to anyone who asks you for a reason for the hope that is in you; yet do it with gentleness and respect, having a good conscience, so that, when you are slandered, those who revile your good behavior in Christ may be put to shame. Amen! God said it and that makes it so!